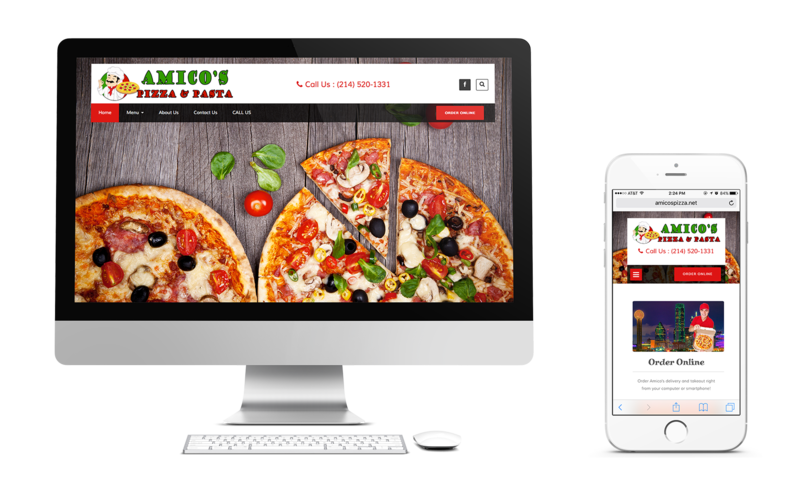 After working with Amico’s to develop a Mobile App, they decided they needed a new website to better reflect their business and make ordering online even easier. 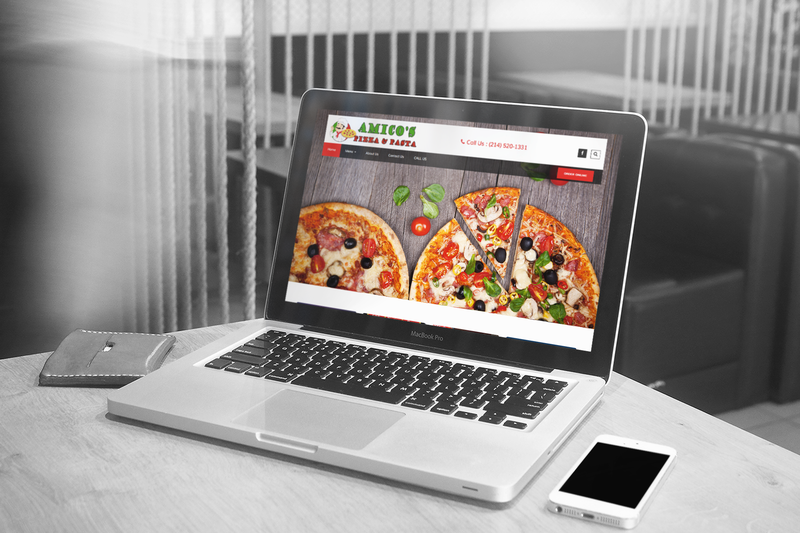 They came to us with a tight budget, but a definite goal in mind. 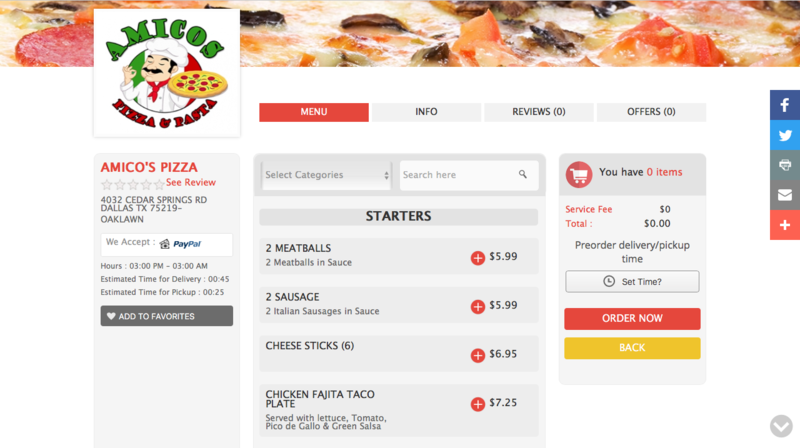 Removed third-party proxy sites from client’s primary online listings like Google, Yellowpages, Yelp, etc. 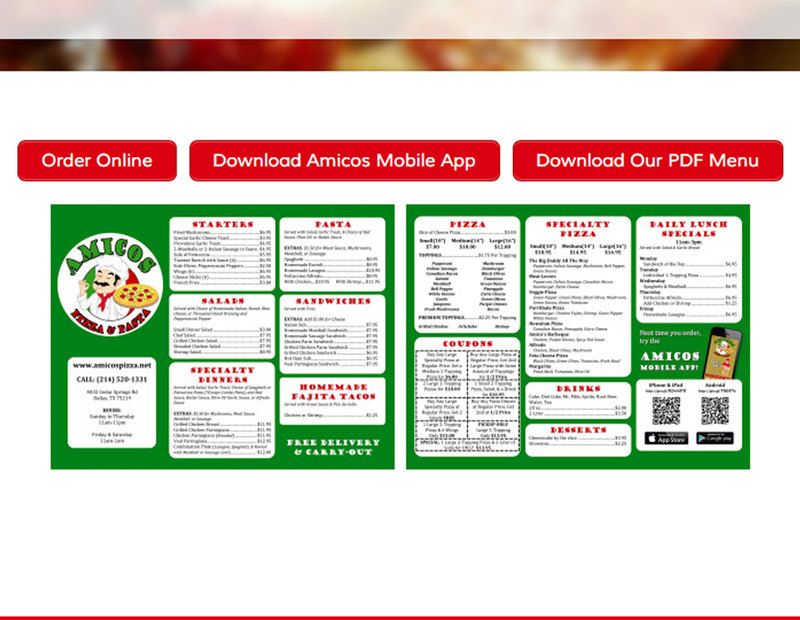 Not only was Amico’s pleased with the look and functionality of the new site, but also felt relief in the pocket book when we removed the need for them to pay out to third party ordering platforms. His online traffic has also seen a spike in volume thanks to the removal of the proxy sites that had been set up to misdirect customers looking to order online.